Journey from the Battlefield to the Spice Mines and beyond. 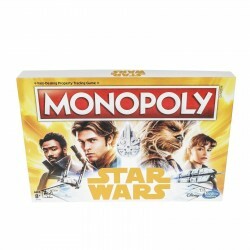 Take control of the Millennium Falcon and make it through the Kessel Run. Players aim to buy as many Star Wars Locations, Vehicles, and Power Sources as possible and take risks with the Smuggler and Scoundrel cards. The last player with money left when all other players have gone bankrupt wins! 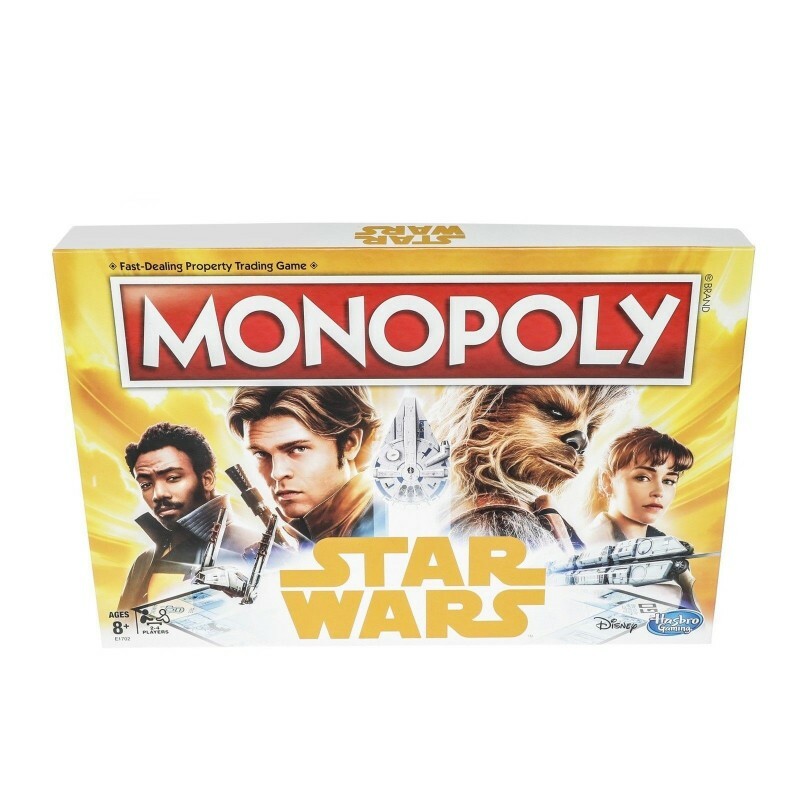 • Includes gameboard, 4 plastic character tokens, 28 Title Deed cards, 16 Smuggler cards, 16 Scoundrel cards, 32 Hideouts, 12 Facilities, 2 dice, money pack, and game guide.